Anyone who knows me will know that I adore taking photos. Whether we are indoors or outdoors, I'm forever with my phone or mostly, my camera. However, I need to get into the habit of making sure to print the photos out, but nowadays there are so many ways you can print photos online, if you don't have a printer yourself or if you're looking for something different. 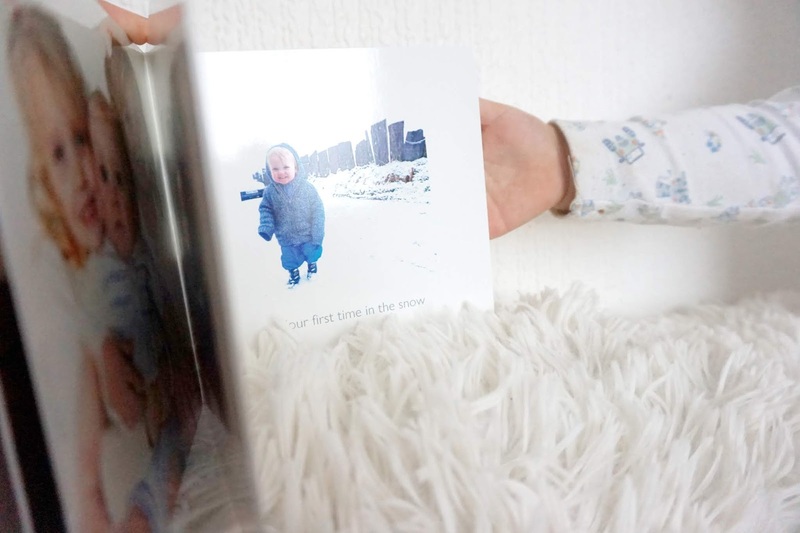 We were recently sent a photo book called 'My First Little Photo Book' from Photobox and I'm over the moon with it. I have a few photobooks at home but never had one especially for one of the kids, especially Freddie, because of his age. 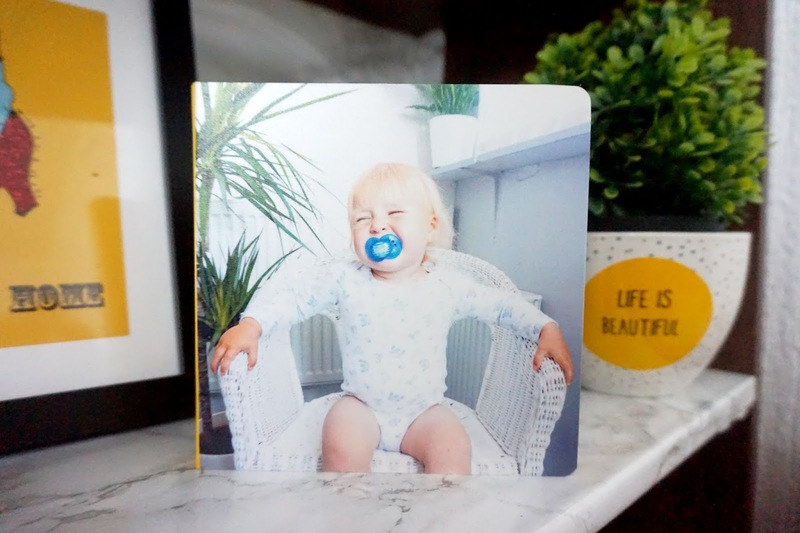 The My First Little Photo Book is fantastic quality 16 thick card pages which prevent any pages getting ripped out like any other normal photobooks. 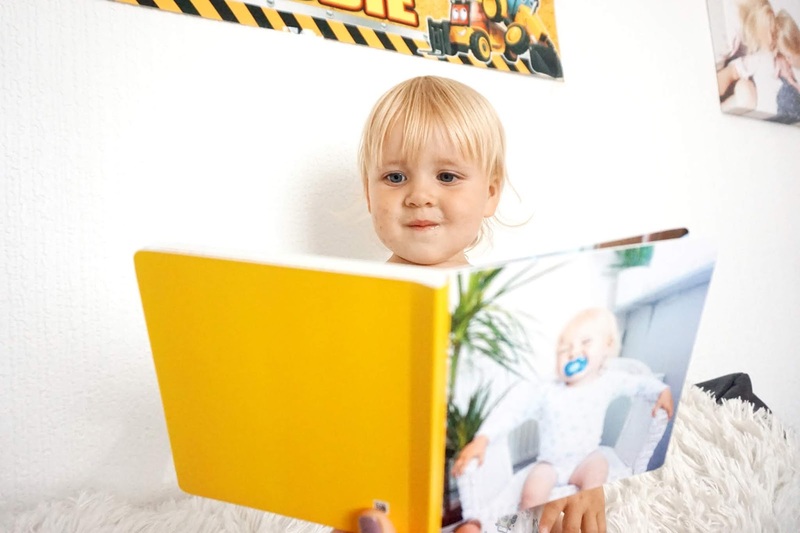 The pages are wipe-clean and have rounded corners too, so they are super safe for young children. I ordered from their website, and it was straightforward to do. 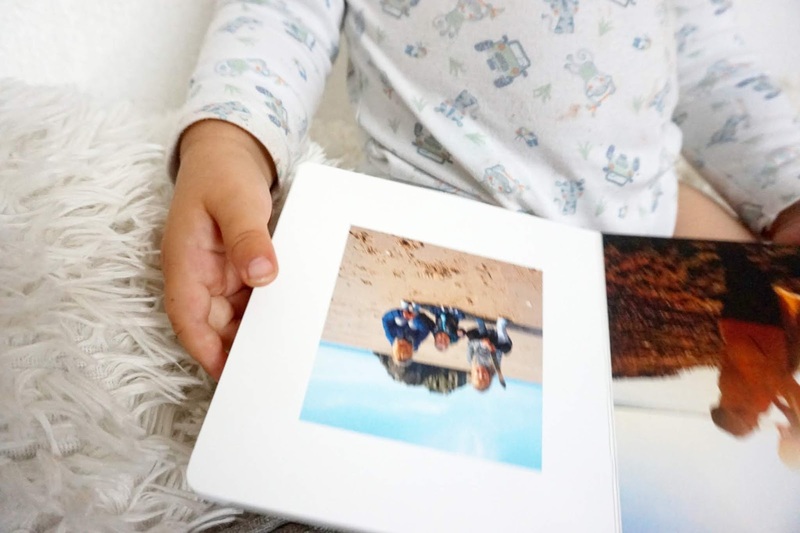 You were able to choose your style of photos and how you wanted them ordered in the book. As well as adding any writing and choosing the font styles. I went for a pretty much simple design, but that's how I liked it. I decided to start the book with photos of Freddie when he was a baby then as he was growing, up until one of the recent photos from his second birthday. This would make an amazing gift for anyone who is due a baby or has a baby/young child. Freddie is fascinated with the book, and I'm overly pleased with the quality of the photos and the whole idea of the book. A beautiful sentimental keepsake for sure. This product costs £14.95 on Photobox's website, which I honestly do believe it's worth every penny. * We were gifted this item in return for an honest review. However, all words, images, and opinions are our own.